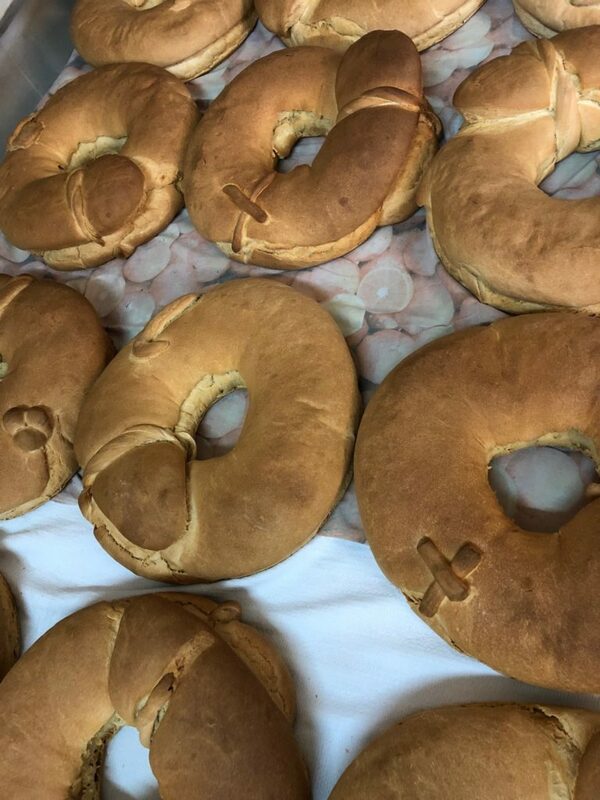 In Minervino di Lecce, a town of about 3,600 inhabitants in the southern Puglia geographic region of Salento, Saint Joseph’s Day is celebrated in the same elaborate manner as it has been for centuries – with traditional foods, music, prayers, and an unconditional welcome for all to participate (even tourists). The festivities begin the night before Saint Joseph’s Day, where families prepare traditional dishes and set them out on large tables to be viewed by family, friends, and the public-at-large. 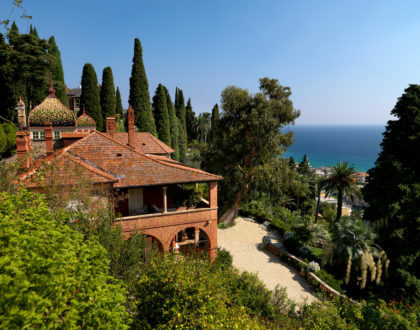 The foods include bread, onion bulbs, pasta (massa or vermicelli), cod fish, chickpeas, broccoli, fried dough stuffed with vegetables, desserts (zeppole and cartellate), oranges, fennel, and of course red wine. 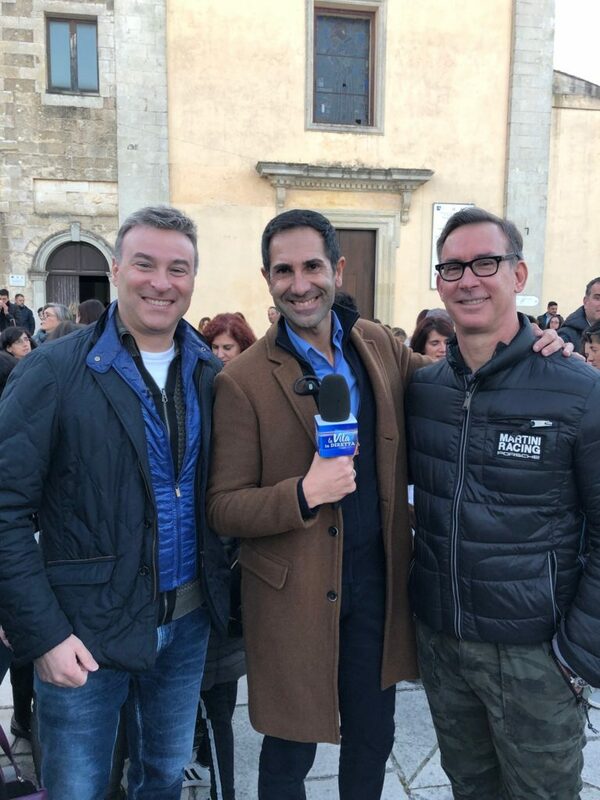 On March 18, 2019, I joined the festivities in Minervino di Lecce at the invitation of the town’s awesome mayor, Fausto de Giuseppe. 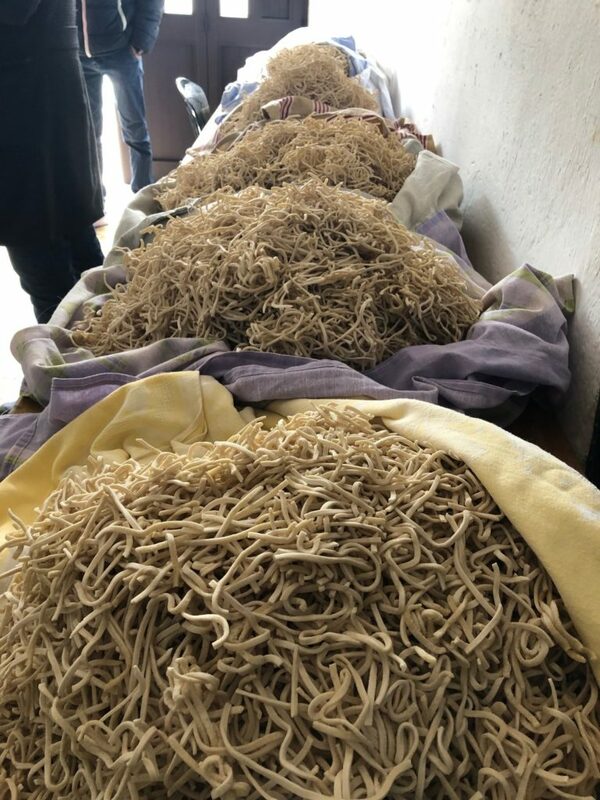 A good part of the afternoon was spent with local elders who provided instruction on how to make their traditional pasta called Massa (in between prayers). As is common with other foods prepared for Saint Joseph’s Day with religious symbolism, the Massa pasta represents Saint Joseph himself, particularly when crunchy, fried Massa is placed on top of the boiled Massa to symbolize Saint Joseph’s wood chips. 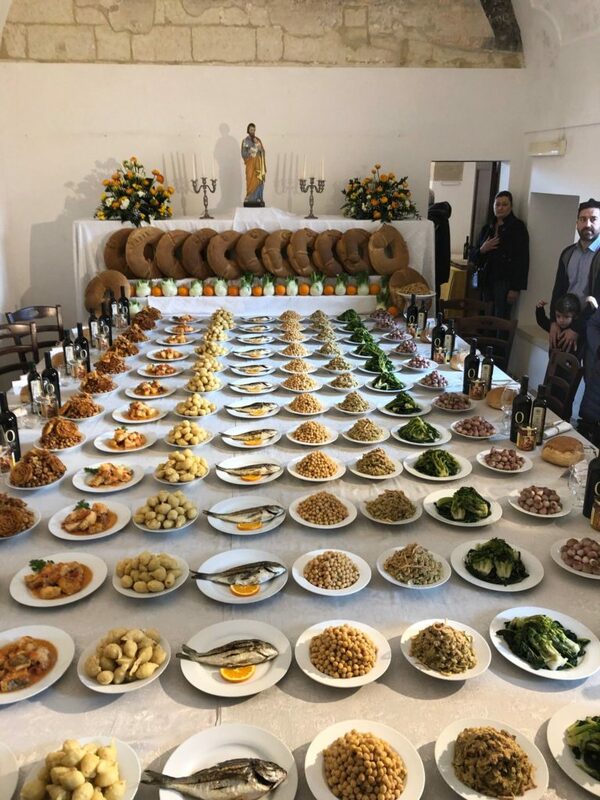 At the start of the evening, the residents and guests join at Cappella di Sant’Anna to view the church’s elaborate Tavola di San Giuseppe (Table of Saint Joseph), and where the Massa is served with red wine in plastic cups. I, of course, thought the Massa was delicious, and ended up having seconds. After the public feast at the ancient church of Cappella di Sant’Anna, we proceeded to visit the homes of various residents who prepared their own tables and spreads for guests to partake. The following video is an example of a typical home in Minervino di Lecce where the doors remained open for guests to eat, drink and celebrate Saint Joseph’s life and significance. On March 19, the actual day of Saint Joseph (and the day Father’s Day is celebrated in Italy) the festivities continue. A parade begins in the center of Minervino di Lecce around 5:30 p.m. where participants play drums and trombones while holding up a statue of Saint Joseph. The procession ends at the town’s main church, where mass is conducted. See the below video showing the procession entering the church. After mass, the parade continues back towards the main square where the formal symbolic dinner takes place on stage before a Tavola di San Giuseppe (Table of Saint Joseph). During the dinner, 13 participants play the role of saints where they eat the traditional foods before a large audience. This year, I was invited to play the part of San Giovanni (Saint John), and the event was publicized by the famous Italian television show called La Vita in Diretta. A video clip of the event can be seen HERE. 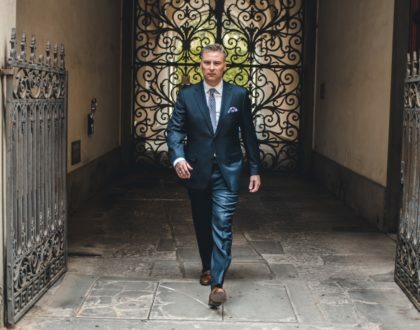 For me, actual participation in an ancient Italian tradition that’s been maintained over the centuries was an extraordinarily rewarding experience. 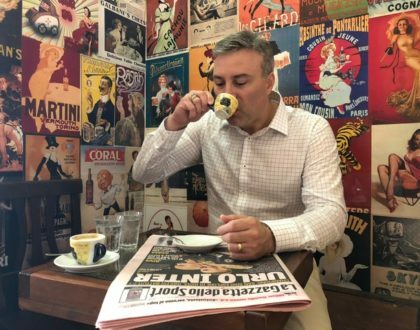 As an Italian Enthusiast, I crave to participate in centuries-old Italian traditions and rituals, and unfortunately, many traditions of the past have not been maintained or are dying in the ordinary course of modernization. In Minervino di Lecce, however, the tradition will never die, and even more special, the doors are open to everyone (literally speaking). 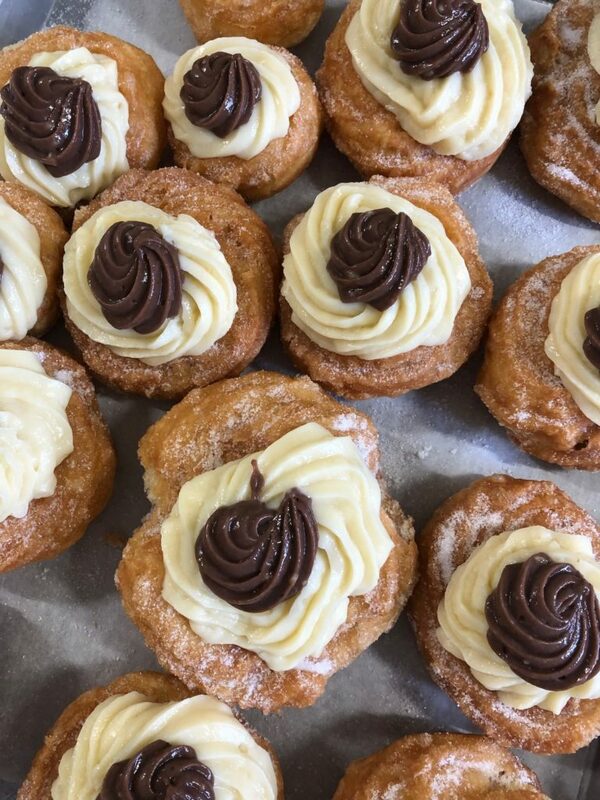 The religious importance of Saint Joseph and celebrating his memory through this ancient tradition, is so ingrained in the pulse of Minervino di Lecce, that the town will continue to be a leader in Saint Joseph Day celebrations for the many years to come. I spent 5 days in Minervino di Lecce with Mayor Fausto de Giuseppe, along with the Vice Mayor, Rossano Urso, and town council member, Stefania Carrisi. They are all amazing people and I am grateful to have met them. 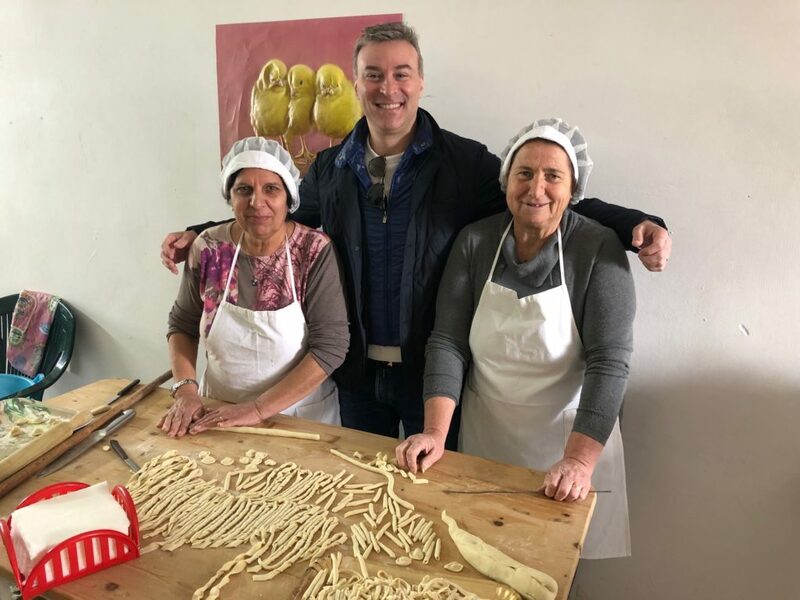 The enthusiasm they have for their small town and traditions is what makes Minervino di Lecce special, and a town all Italian Enthusiasts should visit, especially for Saint Joseph’s Day. 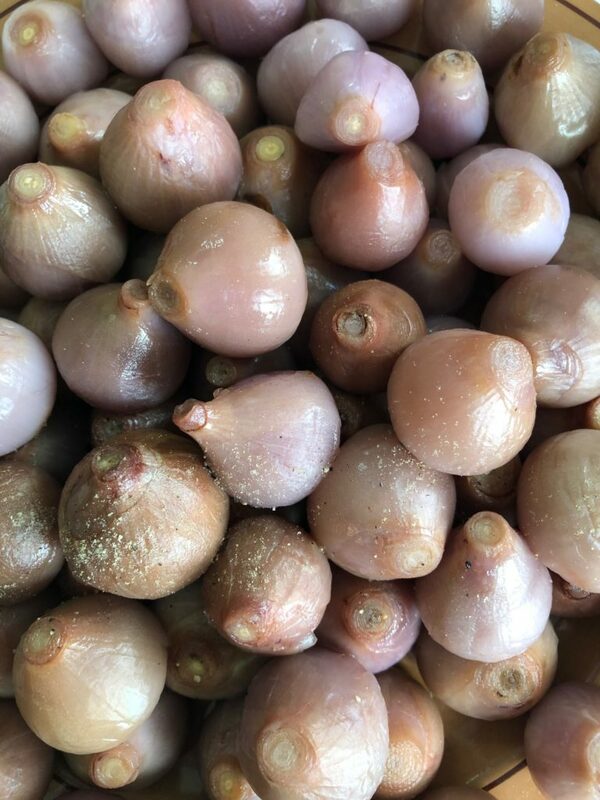 If any of my readers are interested in visiting Minervino di Lecce next year, I am happy to respond to emails and give some suggestions on how to make the best our of your Salento trip.